Denver's skyline could start looking a lot greener as a citizens' initiative to require rooftop gardens takes effect this month. But some changes in the ordinance, the strictest of its kind in North America, are considered likely. 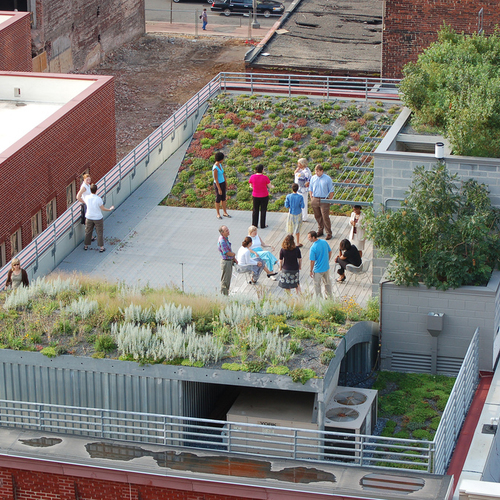 A citizen-sponsored ordinance requiring rooftop vegetation on large, newly constructed buildings in Denver took effect with the start of the new year, but a city task force already is in the works and is likely to make some changes in the months ahead. 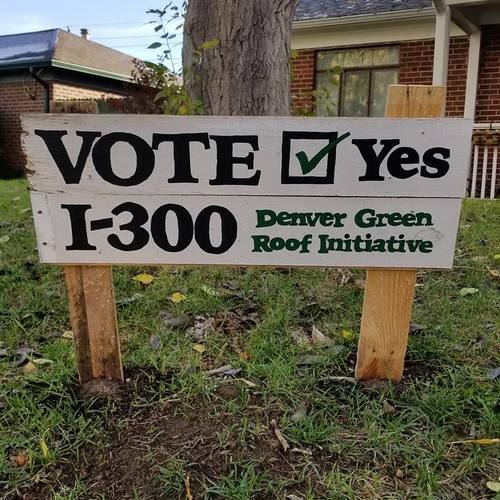 Denver voters approved the proposed ordinance at the polls in November after a grassroots campaign by environmental activists who sold the plan as a way of reducing the urban heat island effect and lowering summer temperatures. More than 54% of city voters were in favor, according to The Denver Post. The ordinance, the toughest of its kind in North America, requires that new buildings of 25,000 square feet or more have roofs that are 20% vegetation or a mix of vegetation and solar panels. As buildings get larger, the proportion of the rooftop that would have to be covered increases; for buildings of 200,000 square feet or more, the requirement climbs to 60%. The ordinance also applies to buildings that are being reroofed, or expanded to exceed the size thresholds. 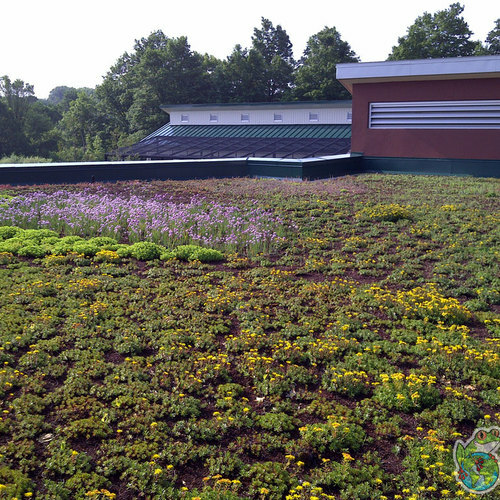 In approving the plan, Denver joined Toronto and San Francisco as the only known North American cities to require green roofs, although a number of other cities have offered incentives to encourage them. Now that the ordinance has the force of law, however, some changes appear inevitable. A six-month moratorium on changes protects the wording of the ordinance until May, but after that the City Council is free to make changes with a two-thirds majority vote. The city’s Department of Public Health and Environment is rounding up a panel including referendum organizers, building and green-roof experts, and opponents of the plan to study possible changes. There are a number of issues that need some clarification, including watering requirements, how the ordinance will be affected by Colorado’s water rights law, and how the city will use fees paid by developers who get variances, the paper said. Even the campaign manager for Initiated Ordinance 300, Brandon Rietheimer, said some tweaks will be needed. But he said the mayor’s office seemed ready to implement the law despite opposing it during the campaign, and city councilors said they wouldn’t seek an outright appeal. 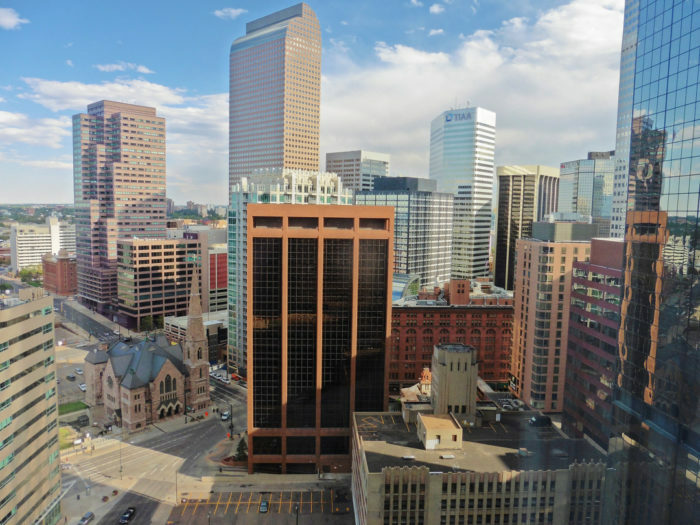 The Colorado Real Estate Alliance, which had opposed the ordinance, had sought to delay the effective date by six months, but the city attorney rejected the request on grounds that would violate the six-month delay on changes that’s incorporated into the city’s charter. The city has drafted a set of rules that will guide city planners on how to implement the ordinance. 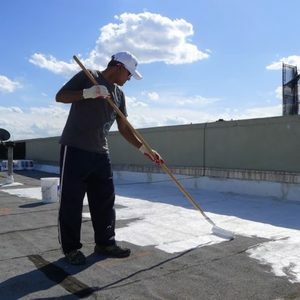 Permitting requirements for contractors are likely to get more complicated and lengthy, particularly for existing buildings due for a roof replacement. "Denver voters approved the proposed ordinance at the polls in November after a grassroots campaign"
Grassroots. Ha, ha. Good one!